Have I understood this correctly - if you're plugging the USB stick into a target machine to take live data, do you also have to have their security dongle plugged in? Yes, that is correct. The drivers are installed and loaded on the fly. I found the tool to be fairly slow and very memory consuming (not so cool if you want to e.g. image physical memory etc. and avoid paging on live systems). But using custom EnScripts on a dead system could be very powerful. Saw it demoed at CEIC last year. 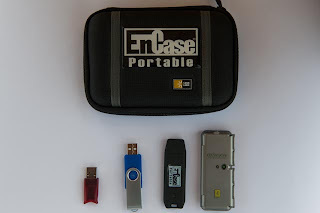 In my opinion, EnCase Portable might be of limited use to PDs and other Agencies that need to make field collections by personnel who are not fully qualified in forensics. 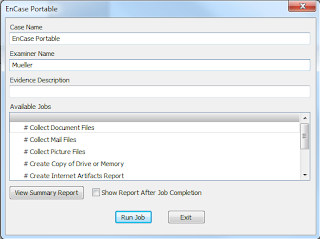 But it is of no use to digital forensic examiners, even if the collection is to be made in the field since a forensic examiner will have access to the full version of EnCase. Spaceman - I agree it can be very slow. Especially with the included USB devices, which are not very high-speed. You can speed it up significantly if you use a higher speed USB device or fast external USB drive. Phil - I agree that its use is limited to a certain group of people doing forensics, but I disagree that its of no use to digital forensic examiners. I have found several ways to use it, especially when faces with collected from several machines quickly or surreptitiously. I have just receieved version 2 of Portable(Dongle and USB portable are the same key now). I have tested it with a Seagate external USB drive and it seems very fast. Full testing to go, but it is much better than the first version. There is a training event hosted by Guidance this coming Tuesday re: encase portable. I am attending and will see how their newest version addresses the concerns you had. 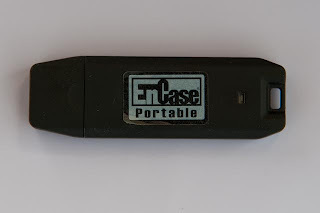 for its new version, the EnCase portable USB device contains hasp key in-built. What do you mean by the drivers are installed on the fly?